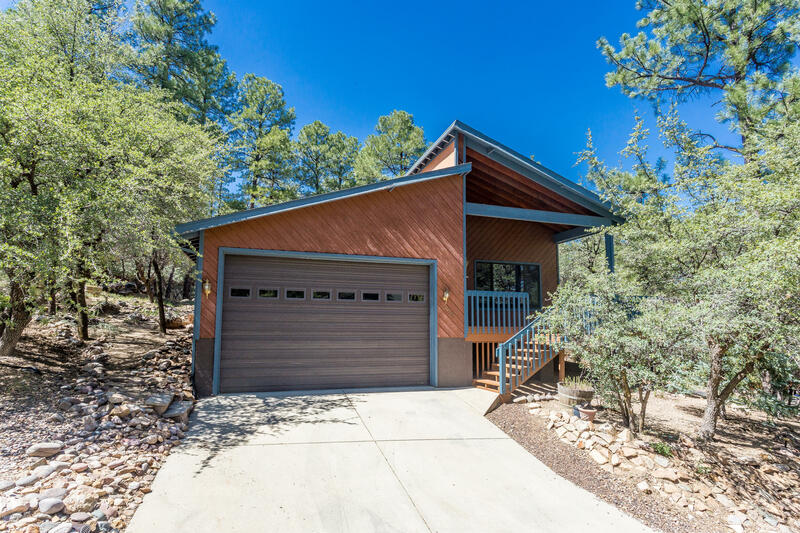 Charming rustic-style home surrounded by tall ponderosas, just minutes from the downtown Square! New carpet, gleaming hardwood floors, a chic fireplace, updated kitchen, and many upgrades! 3 bedrooms and 2 baths on main level, with bonus room on lower level. Expansive windows bring in the pine-filtered light, and a spacious wrap-around deck adds outdoor living space. Two-car garage, whole-house fan and much more! Wall-to-wall comfort in a lovely peaceful setting!